Docker Swarm is a native clustering management tool for Docker. Essentially, it turns a pool of Docker containers into one single, virtual Docker host. Swarm serves the standard Docker API, and any tool that already communicates with a Docker daemon can use Swarm to scale to multiple hosts transparently. 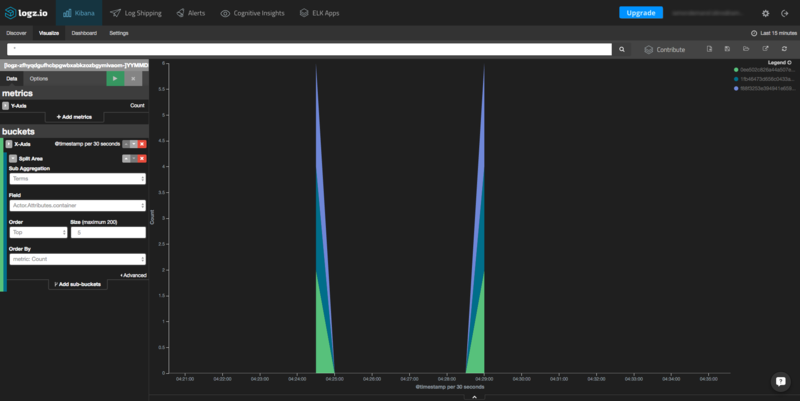 Properly monitoring the health of a distributed system is crucial to be able to identify and troubleshoot issues on time, but is also a challenge. 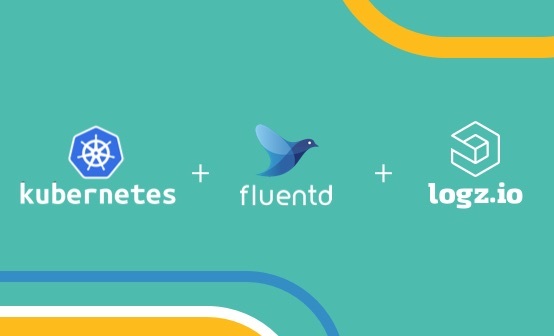 This guide describes how to establish a centralized logging architecture for a Swarm cluster by collecting event data (such as container status per nodes and container actions) and shipping them to the Logz.io ELK Stack (Elasticsearch, Kibana and Logstash). These steps will explain how to create the Swarm cluster, prepare the nodes for logging, and track events using the Docker Swarm API. Our first step is to create a Swarm cluster in a sandbox environment so that we can safely test the logging architecture. We will create a local cluster consisting of three virtual machines: one for the Swarm manager and two for additional cluster nodes. To follow the next steps, make sure that you have Docker Toolbox, Docker Machine, and VirtualBox installed. Our next step is to deploy the two additional cluster nodes (node-01 and node-02) by using a similar command to the one used for creating the Swarm manager. Our next step is to use the hosted discovery service on the Docker Hub to create a unique discovery token for the cluster, which we will then use to form the nodes into one cohesive cluster. Docker will now retrieve the latest Swarm image and run it as a container. The create argument instructs the Swarm container to connect to the Docker Hub discovery service using a unique Swarm ID (also known as a “discovery token.”) The token appears in the output, but it’s a good idea to save it for later use because it is not saved on file due to security considerations. We will now add the two nodes to the cluster, where a manager is responsible for the entire cluster. Now, it starts to get interesting. Here, we will describe how to collect the machine logs generated by Swarm for subsequent forwarding into the ELK Stack for analysis. Now, the –engine-env flag that we used above when creating and forming the cluster nodes already flagged which manager and agent nodes can use the UNIX socket for logging. Also, we used DOCKER_OPTS to enable logging per node. It’s important to note that we’re using a UNIX socket to retrieve the log data. You can, if you like, use the Docker remote API as well. Check this guide to learn how to change and use the Remote API. For a complete list of Docker Swarm events that can logged using APIs, check out the Docker docs. Using the commands above, we can retrieve event logs for any of the nodes in our Swarm cluster. Of course, retrieving logs from the nodes can also be automated by using cron jobs or customized schedules. There are a number of methods for shipping the Swarm event logs into ELK. This section will outline two of them: AWS S3 buckets and Logstash. Please note: The configurations here are optimized for shipping to the ELK Stack that hosted by Logz.io. If you are using your own ELK instance, you should use the Logstash method and apply changes to the configuration file. We have set the date here to group and store the logs on S3 based on their timestamps. 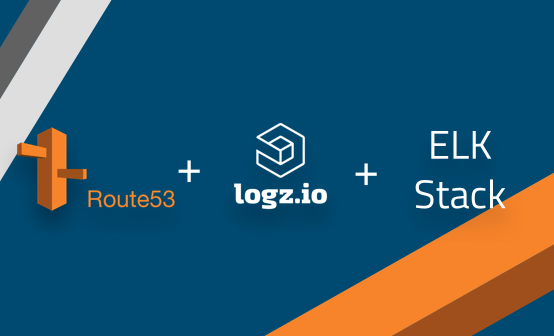 Once synced with S3, we need to configure shipping from the S3 buckets in the Logz.io Log Shipping section. As shown below, after clicking on the Log Shipping item and selecting “S3 Bucket” from the “AWS” drop-down box, you will see the fields that you need to fill out to run the service properly. 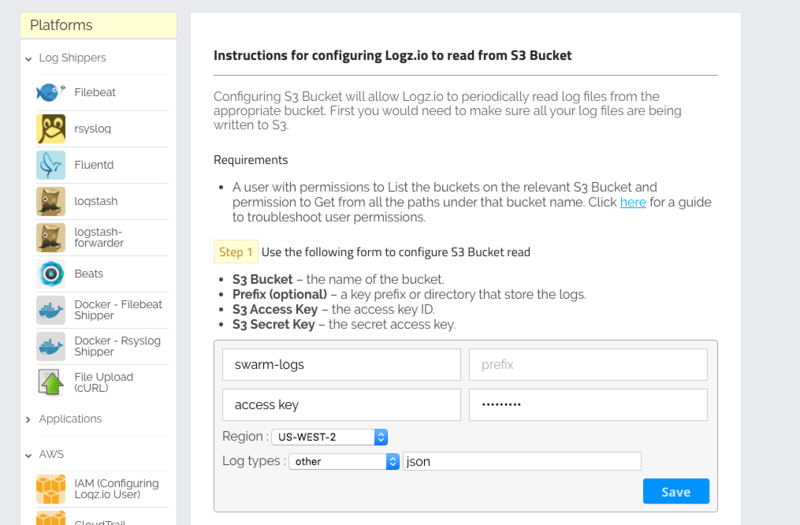 The required fields are the bucket names — in this case, the swarm logs, an S3 access key, and a secret key that you should have received from AWS. As explained above, this shipping option is obviously better if you’re using your own ELK Stack (and the guide below presumes that you have the stack installed already). Our final step is to begin to analyze the logs. 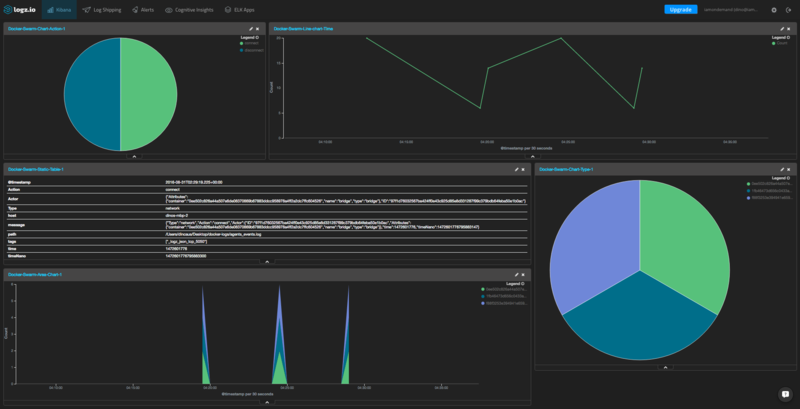 As an example of how to use Kibana to visualize Swarm events logs, we will describe how to create a dashboard to monitor the containers in the cluster. The first chart that we will create is an area chart that is displayed in a histogram that shows the number of containers over time. 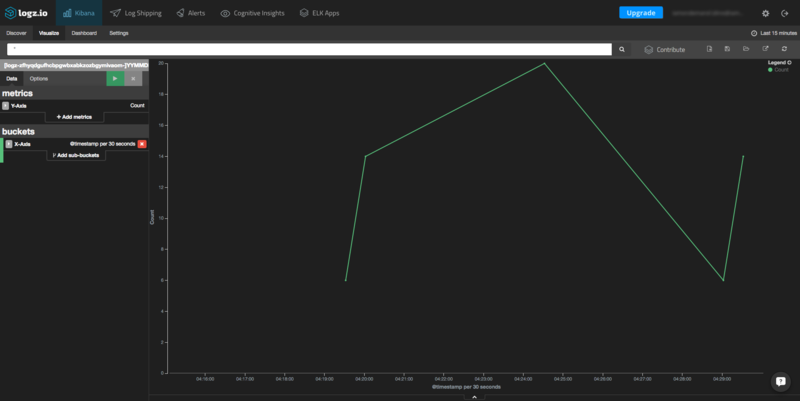 To create the chart, click the “Visualize” tab in Kibana and select the area chart visualization type from the menu. Then, in the left-hand box under the “Data” tab, use the X-axis as a date histogram and under “Split Area,” select “Terms” as a sub-aggregation. As a field, select Actor.Attributes.container. In this visualization, we can view all of the various Swarm actions (for example, pull, commit, create, connect, and disconnect). 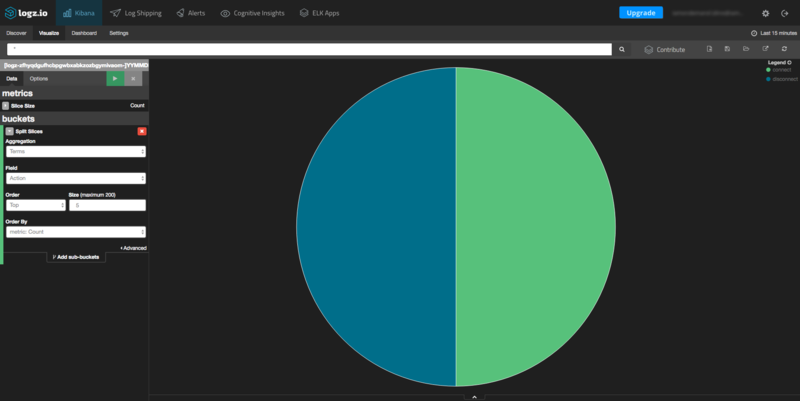 Again, click the “Visualize” tab in Kibana and this time, select the pie chart visualization type. On the left-hand side, you will have to select the “Action” field from the aggregation drop-down menu. Once you’ve created a series of visualizations, you can put them all together in a comprehensive dashboard. This allows you to monitor your Swarm cluster from a single place. If you’re using Logz.io, this dashboard is available in our ELK Apps library of pre-made dashboards and visualizations, so you can easily install it here with one click. Docker Swarm is a great tool for building and managing a Docker clustered environment, but it is critical to know what is going on inside the cluster to be able to make sure that everything is functioning as expected. Being able to monitor the cluster will enable you to identify whenever something is going wrong with your services by providing you with a clear picture of the events taking place within Swarm in real time. Of course, this guide outlined our recommended method for logging Swarm with ELK, but you can create and deploy your own ELK Stack and configure the shipping however you wish. We’d love to hear how you’re handling logging for Docker Swarm — leave a comment below.